SALE! $19.99 -> $9.99 FOR A LIMITED TIME ONLY! 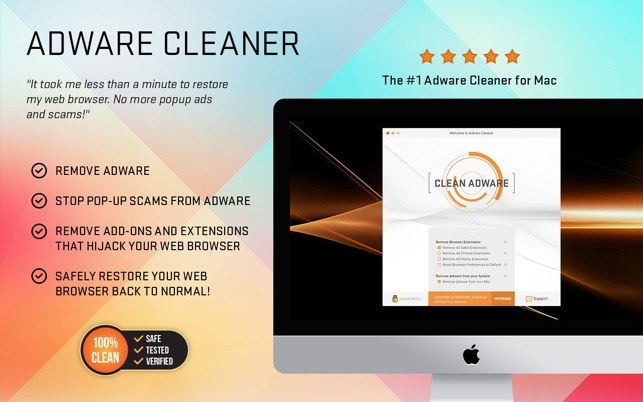 ■ #1 Fastest and most secure Adware Cleaner on Mac App Store. Tested & certified. ■ The ONLY Adware app with Adware signatures. Don't be fooled by other "Adware" apps that only clear your extensions. Our apps are certified. ■ Featured on EatAppleNews, Brothersoft, and many more! Removes: Conduit, MyBrand, Trovi, Search Protect, SurfBuyer, MacKeeper, Offerz4u, MyShopMate, Turbomac, Omnibar, GoldenBoy, Texiday, Listchack, InKeepr, Nariabox, Celipsow, Mac Optimizer, and many more variations. We are are the only app that scans for real adware using adware signatures. Removing adware requires identifying which key files to remove. Compare us to our competitors that only clean your browser extensions. Don't fall victim to these counterfeit apps that don't legitimately scan your computer using adware signatures. We are tested and verified. Adware Cleaner™ will easily handle all the adware removal for you with 1-click. 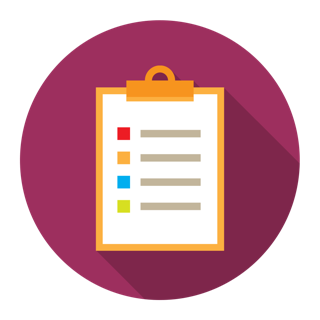 Our adware signature database is updated regularly to bring you the best security. We take pride in being your #1 Adware Cleaner app. 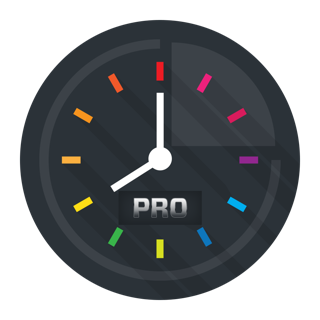 ◉ Click the animated "Clean Adware" button to start! That's it! If your favorite web browser suddenly seems to have a mind of its own; redirecting you to places you have no interest in and warning you of viruses on your Mac that don’t actually exist, you’re infected with adware. Adware Cleaner™ makes it easy to remove all adware and restore your web browser back to normal with 1-click. Our proprietary algorithm makes this a painless and quick process, allowing you to scan all the critical locations that adware can hide. Advanced settings allow users to remove adware that hide in browser extensions and add-ons. For web browsers with altered settings, Adware Cleaner™ can help reset your web browser back to its default settings. Remove all your adware and restore your web browser! *COMPARE to competing FAKE "adware" apps that only clean your browser extensions and don't use adware signatures to scan for actual adware. Our adware database is updated daily along with our BitMedic Antivirus database with millions of signatures. Don't settle for anything less. 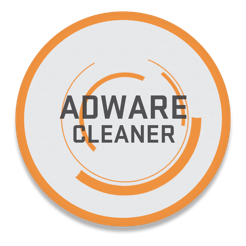 Adware Cleaner™ is a registered trademark of Pocket Bits LLC. Ging super einfach & schnell. Mein Problem war sofort behoben! Bisher erst einen Problemfall gehabt - soweit alles gut. Mal sehen, ob das immer so gut läuft.